Over the years I've mentioned the ambiguity surrounding what Roman Catholics mean by "Tradition." I've read others doing the same thing, with most of us mentioning the ambiguity surrounding exactly what Trent meant by holding the gospel truth and instruction are contained in the written books and in the unwritten traditions. There doesn't appear to be a consensus opinion as to the exact content of Tradition, the precise relationship between scripture and Tradition, and exactly how the vehicle of Tradition functions and becomes known by the church. Rome's official statements do not explicitly define whether Tradition is the second of a two-part revelation (known as partim-partim), or if both forms of revelation contain the entirety of God's revealed truth. 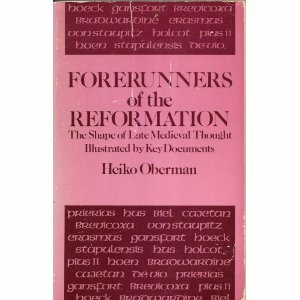 Recently I came across a discussion of this very issue in regard to Trent by Heiko Oberman, Forerunners of the Reformation (New York: Holt, Rinehart and Winston, 1966) pp.53-54. Lest anyone think those of us who mention this are making this up, I offer the following excerpt from Oberman simply as documentation of the dispute as it was stated in 1966. The recent concern with the problem of Tradition in the field of medieval studies can be traced back to the publications of a German systematic theologian, Josef Rupert Geiselmann, who suggested that the traditional interpretation of the Tridentine decree on Scripture and Tradition should be reconsidered. Whereas heretofore it had been assumed that the Council had taught that there are two complementary sources of revelation, part of the truth being derived from Scripture and part from extrascriptural Tradition, Geiselmann suggests that closer consideration of the relevant documents proves the Council to have abstained from determining whether or not all truths are contained in Holy Scripture. Notwithstanding this abstention, Geiselmann argues, in the light of the previous history of this issue, one should interpret the conciliar decree to mean that all Catholic truth is contained simultaneously in Holy Scripture and in the Holy Church. 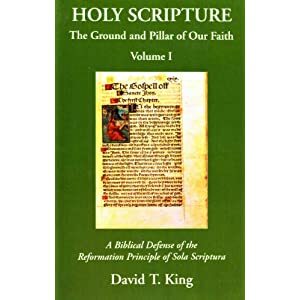 Thus interpreted, the Tridentine formulation is much closer to the central doctrine of the Reformation, and leaves the door open for further development, that the whole revelation is contained in Holy Scripture—the so-called "material sufficiency" of Holy Scripture. 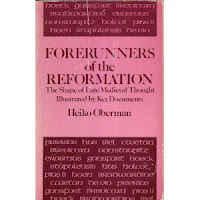 In the discussion that ensued concerning the validity of Geiselmann's thesis it became increasingly clear that an understanding of the medieval antecedents of the conciliar debates was essential. The result has been an ever-growing number of articles and books on this topic. Wow, this is certainly something that needs further clarification. Last Sunday in his sermon, my pastor said that the Roman Catholic church put RC Church Tradition and Scriptures on par whereas Protestants do not. Looks like things are not as clear cut as this. Thanks for highlighting this. Stick around cause you ain't seen nothing yet :) Also, there is an interesting link between German theologians, recent ecumenism and RC Tradition. The current Pope has been a big player. This book is fantastic, by the way, and I highly recommend it. Yes, Matthew is correct. I plan on posting some other excerpts. One of the most interesting chapters is the one that contains the sermon from Staupitz. I searched around the Internet, and it doesn't look to me like too many people have discussed it, so I hope to post some excerpts.